I love the 4th of July and I am always torn between being home where we can enjoy fireworks from our front yard and being with family. This year we get the best of both worlds because some of our family is coming to celebrate with us! 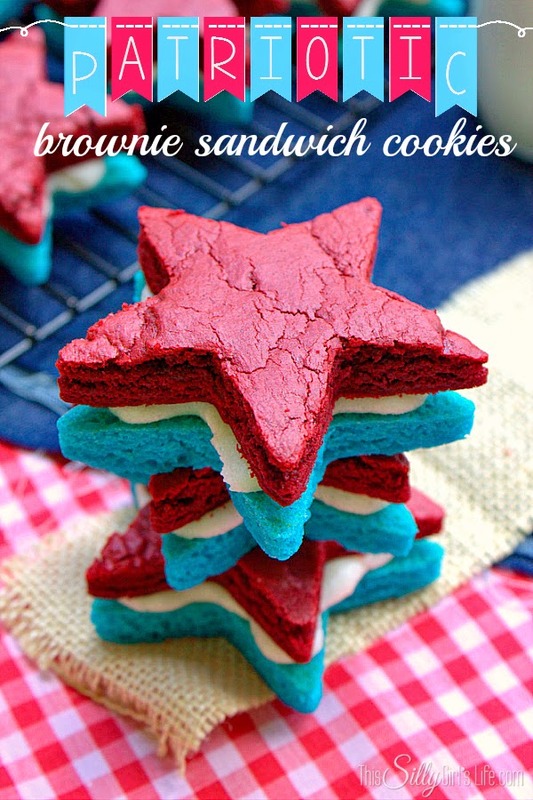 There will be 10 kids so we will need to find some fun patriotic desserts to make and I am pretty sure these star brownie sandwich cookies would be a big hit. You can get the recipe for these red, white, and blue sandwich cookies over at This Silly Girl's Life.